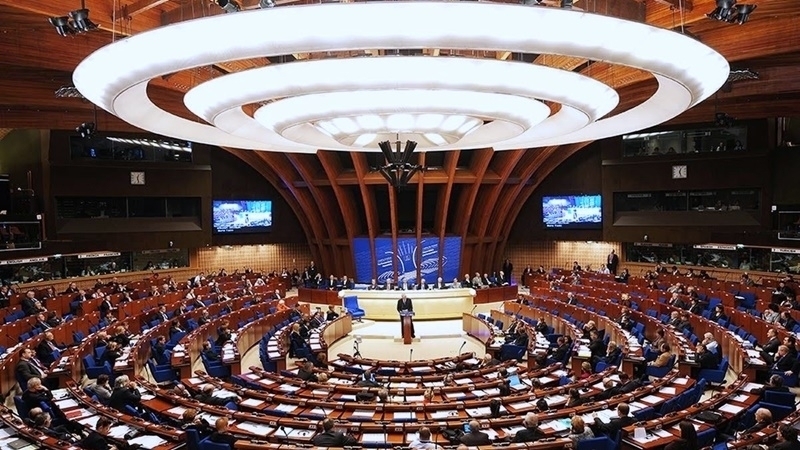 Today, April 23, the Parliamentary Assembly of the Council of Europe (PACE) will consider the issue of illegal elections of the President of the Russian Federation on the temporarily occupied territory of the Autonomous Republic of Crimea, according to the information on the Assembly's website. It is noted that the issue of the Ukrainian peninsula annexed by Russia will be considered as part of urgent debate at the PACE, in particular, illegal presidential elections of the Russian president and violation of human rights will be discussed. The issues for urgent debate also include "Member States' respect for international rules-based agreements and principles in the context of the interventions by the Russian Federation in Ukraine, Georgia, Moldova and most recently in the United Kingdom and of a further recent transgression of international law by the regime in Syria and its sponsors"
In addition, the PACE intends to address the problems of growing anti-Semitism, Islamophobia and xenophobia in Europe, as well as reforming the mechanism of the Convention for the Protection of Human Rights. Earlier, the Ukrainian Parliament, Verkhovna Rada, registered the presidential bill No. 827, which provides for the deprivation of Ukrainian citizenship from Crimeans for voting in the illegal presidential election in the occupied Crimea. The document suggests taking part in the "elections" of the Russian president as grounds for depriving Ukrainian citizenship. The norm applies to all Ukrainian citizens who took part in illegal elections.